You might think of Gravity Rush 2 as an action game, but it’s really a flying simulator first and foremost. That’s why its combat can occasionally feel like an afterthought — sometimes too simplistic, while later in the game, hopelessly chaotic. If you’re not controlling Kat at a sky-high level, you’re going to have a tough time during Gravity Rush 2’s hardest fights. Luckily, you can use this guide to hit the ground running. 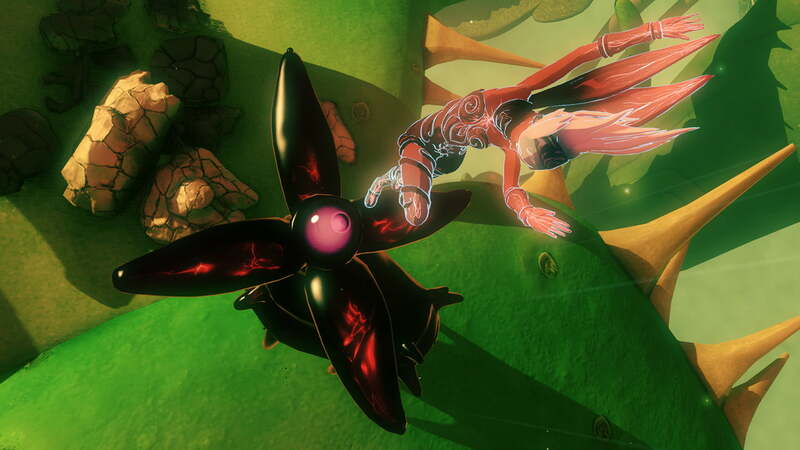 Here’s the scoop on Gravity Rush 2’s combat. The most important factor for mastering Gravity Rush 2’s combat is mastering movement. Even a simple battle becomes a mess if you can’t move confidently around the game’s massive, 3D environments. Thankfully, getting to know the basics should be easy. Press R1 to float stationary and tap it again to flip gravity in the direction you’re facing, or use motion controls to fine-tune your aim and press the square button to send gravity kicks at enemies. R2 is for dodging, both in the air and on the ground. And clicking the right stick levels out the camera, helping you stay oriented. Once you start unlocking Gravity Rush 2’s additional stances — Lunar and Jupiter mode — things get more complicated. One key to mastering the game’s combat is getting good at switching among Lunar, Jupiter, and normal stance using the touchpad on your PlayStation 4 controller. You’ll often need to do this multiple times per battle, depending on the situation. While Lunar mode makes you lighter and floatier, it also makes you easier to hit since you move more slowly through the air and you’re less maneuverable. You’d think that wouldn’t be great for combat, but there are times when Lunar is more than suitable. It has advantages, like a better gravity kick — aka the “wormhole kick” — that lets you warp toward enemies (even fast-moving ones). It’s also easier to chain attacks together on the ground while in Lunar mode. More importantly, once you’ve gotten the hang of spring-jumping (both vertically and horizontally) in Lunar mode, you can use that to zip around the battlefield more quickly than you can by shifting gravity. Holding and releasing the “X” button to jump into the air is often easier than needing to tap R1, tilt the camera up, tap R1 again to stop, and level the camera out. Plus, in Lunar mode, you can float at the top of a jump for a some time, letting you get the lay of the land or aim your attacks. Liberally using R2, in addition to dodging attacks, makes Kat even easier to control in Lunar. Jupiter stance, the second additional mode you get in Gravity Rush 2, isn’t as useful in combat. That said, it’s not without merit. Your ground attacks are much stronger, though in general, the heavy stance makes it more difficult maneuver. However, flicking down on the touch pad for seconds at a time while falling long distances can help you close gaps more easily. And the charge kick — executable by holding the square button — can do tons of damage to an individual or groups of enemies if you can manage to time it right.